Posted October 13, 2017 by Staff Writer & filed under Arts & Entertainment, Movies. Survival films are often full of physical and traumatic pain but not often does the genre explore romance or comedy in the narrative. 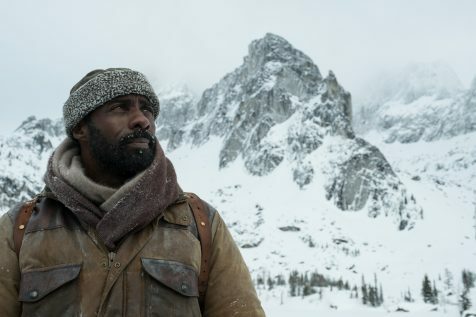 The Mountain Between Us is the story of two strangers who find themselves stuck in the cold snowy winter in the Uinta Mountains of northeastern Utah after the pilot of a charter plane has a heart attack in mid-air and crashes the aircraft. Alex Martin (Kate Winslet) is a photojournalist on the eve of her wedding who is stranded with Ben Bass (Idris Elba), a neurosurgeon who was travelling to help a 10 year old with a life saving operation. Both realise their survival depends on sticking together as they are challenged by all kinds of hurdles. As they become emotionally attached a romantic attraction between them becomes apparent. This may not be an Oscar worthy contender but it is very much suitable for a date night.